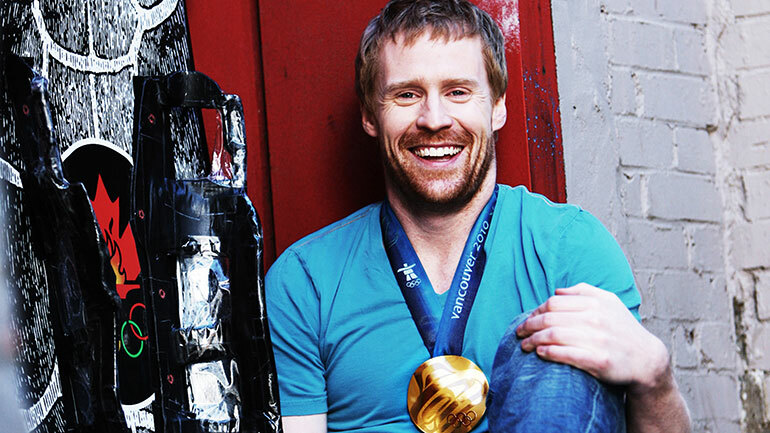 Jon Montgomery, who won a gold medal in men’s skeleton at the Vancouver Olympics, is speaking at Nourish, this Saturday at UBC Okanagan. The campus is hosting a two-day Homecoming event, starting with breakfast on Friday, October 19 and wrapping up after a full day of activities on Saturday, October 20. It’s time, says Deborah Buszard, UBC Okanagan’s deputy vice-chancellor and principal, to celebrate the growth and diversity of the campus, which officially opened in September 2005 with 3,500 students. Today, there are almost 10,000 students on campus, with students coming from across Canada and more than 108 countries. With the Commons, a $35-million addition to the current library, almost ready for occupancy, and two new student residence buildings in the planning stages, the campus has changed a lot since it first welcomed students 13 years ago, says Buszard. In fact, back then there were 13 buildings on campus, now there are 35. The kick-off breakfast is free for students, $3 for others, and takes place on University Way starting at 8:30 a.m. on Friday morning. The Faculty of Creative and Critical Studies is hosting a visual arts alumni exhibition in the FINA Gallery starting at 4 p.m., while the School of Engineering is showcasing current research with lab tours, and the canine friends of BARK (Building Academic Retention Through K9’s) will be showcased from 4:30 to 6 p.m.
Streetfest, an evening of food trucks, beer gardens, carnival games and line-dancing, takes place on University Way starting at 6 p.m. Okanagan recording artist Ben Klick will provide the music for the evening. Saturday is jam-packed with walking tours, an engineering extravaganza complete with trebuchet competition, a chemistry display complete with explosions and liquid nitrogen ice cream, and a campus-wide scavenger race. Buszard says all students, faculty, staff, alumni, family and community members are encouraged to come back home to UBC Okanagan for the weekend and enjoy Homecoming. Details and registration for events are available at: ok.ubc.ca/homecoming.